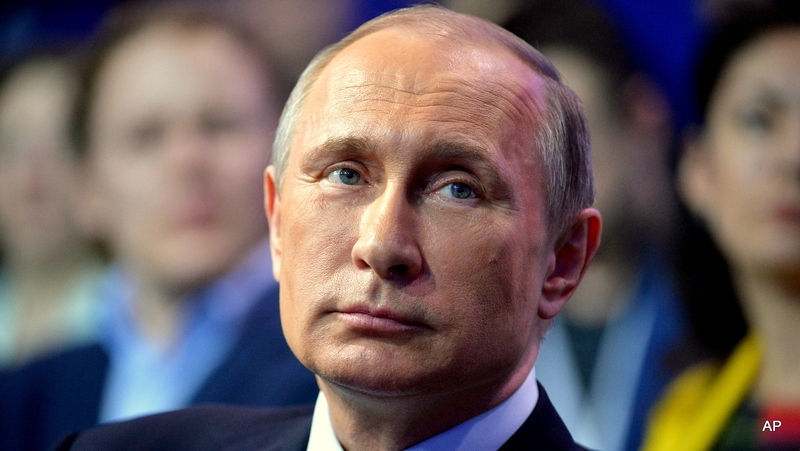 Security Expert Centre » Research Dossier → Would a Summer Offensive Cost Putin Too Much? Research Dossier → Would a Summer Offensive Cost Putin Too Much? Western sanctions against Russia were one of the main topics at the G7 Summit held in Germany on 07–08 June. The leaders there sent Putin and all of Russia’s elite a direct message: if Russia does not follow the Minsk agreements, sanctions will be maintained and intensified. Despite this, the situation in eastern Ukraine is deteriorating as Russia-backed militants continually violate the ceasefire. The last battle in Marinka claimed the lives of 28 people, including nine civilians—and losses are mounting. Almost all Western countries imposed sanctions on Russia following the annexation of the Crimean peninsula last March. And, after several offensives by Russia-backed militants – and especially the Malaysia Airlines flight 17 catastrophe in the Donetsk region – these measures were reinforced. At a meeting of foreign ministers in Luxembourg on 22 June, European Union officials decided on a six-month extension of the economic sanctions on Russia that expires in late July until the end of January. US officials are also not discussing lifting sanctions in the current circumstances. The US and EU are showing their solidarity with Ukraine and conducting a rigorous dialogue with Russia. Still, there are factors which divide them when it comes to opposing Russian aggression in Ukraine. In particular, there is the question of military aid for Ukraine’s army, which is more acceptable to the US especially following a recent Brookings Institution report. But given the mass of Russian troops near Ukrainian borders and the activation of Russia-backed militants close to the front line, the threat of a “full-scale invasion” by Russian forces across the entire length of the border this summer remains. That’s why Ukraine should be prepared for attacks in the city of Mariupol, located on the Azov Sea bay near the front line, as Russia tries to cross by land to the Crimean peninsula. Western countries must pledge that Putin will pay a very high price for this offensive. They have all the tools to do this. To attack Mariupol, Russia-backed militants would engage most of their soldiers, and given the city’s good defence capability and its patriotic inhabitants, they will suffer heavy losses to claim that victory. In that case, all terms of the Minsk agreement will be violated, and Ukraine will have the right to defend itself and attack these militants across the front line. If that happens, Putin’s only option to save the so-called Donetsk and Luhansk People’s Republics from complete defeat will be the intervention of regular Russian forces into Ukraine’s territory without any mandate from the Security Council. That would be a direct breach of core United Nations principles allowing the US and EU to supply defensive military aid on a large scale and implement much stronger anti-Russia sanctions up to the point of an embargo. This could have a highly destructive effect on Russia’s economy and the welfare of its citizens leading to the rapid decline of all of Putin’s political support. The price for aggression against Ukraine is known to the Russian elite. This is why Putin will think twice about a full Ukrainian invasion if Russia-backed militants lose the battle for Mariupol and retreat across the entire length of the front line. In fact, the only sides interested in escalating the conflict are a couple of radical nationalists in Russia and the leaders of the Donetsk and Luhansk People’s Republics who stand to increase the territory potentially under their influence and which they will freely loot. The possibility of a complete defeat of the Donetsk and Luhansk People’s Republics is likely to be better for Russia despite the complex economic situation caused by the sanctions: Russia is frequently required to help these “Republics” through the inflow of funds, and humanitarian aid will be needed in the Crimean peninsula. But, of course, Putin will never publicly admit this. Meanwhile, NATO members in Eastern Europe are increasing their defence spending and the US military presence in the region because they are worried that after the conflict in Ukraine, they could be the Kremlin’s next target. That’s why helping Ukraine to defend itself will reduce the chance of Russian attacks on NATO members.